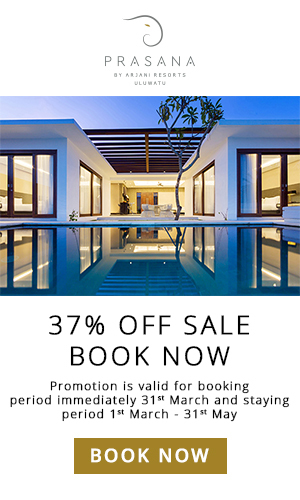 Our Bali trip started with two nights at the beautiful resort Chandra Luxury Villas, in Seminyak, Bali. Chandra contains nine beautiful villas. We had such a lovely time, everything was absolutely perfect. The service and the staff was so friendly and very helpful, the food was absolutely delicious and the villas (pool, interior, construction plan) were perfection. Everything was very fresh and clean. 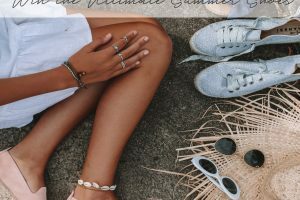 The villas located in Seminyak, is the perfect area for exploring. Food, shopping, beautiful nature, party and so much more! 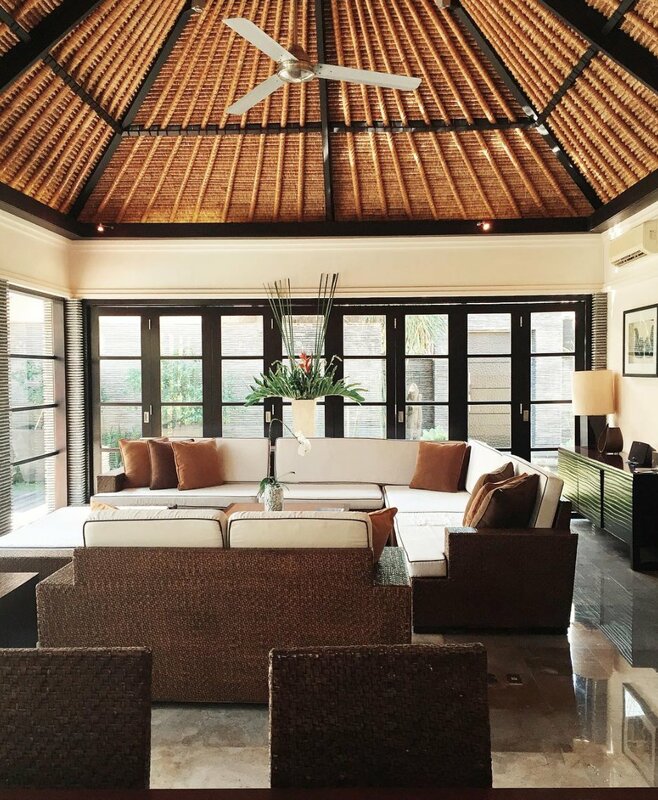 The villas are situated in a quiet area, so whether you’re there to relax with loved ones, or there to party – Chandra has you covered. We had the opportunity to try the in-villa yoga. It was amazing. We had a private instructor arrive at 6:30 am and we had one hour of pure bliss. His name was Hiroshi Funakoshi – a yoga class with him is definitely recommended! In the afternoon we got to experience a Balinese massage as well. It was amazing. No more words needed. Chandra Luxury Villas was absolutely perfect! After our stay at Chandra Luxury Villas we moved to Pepper’s. Pepper’s is located in the same area, Seminyak. We lived in a beautiful two bedroom pool-villa, which contained the most beautiful interior I’ve seen. Every single detail was very elegant and luxurious. Everything with our stay was perfect here as well. The staff and the service, the location, and the food was delicious. I simply had nothing to complain about! I also got the opportunity to have the Balinese massage at Pepper’s. The facilities of the Spa at were very beautiful, relaxing and very tastefully furnished. The massage itself was wonderful. Pepper’s also had a 24 hours open gym, which also was refreshing and pleasant. Our stay at Pepper’s Seminyak was simply perfect. Make sure you visit Pepper’s! 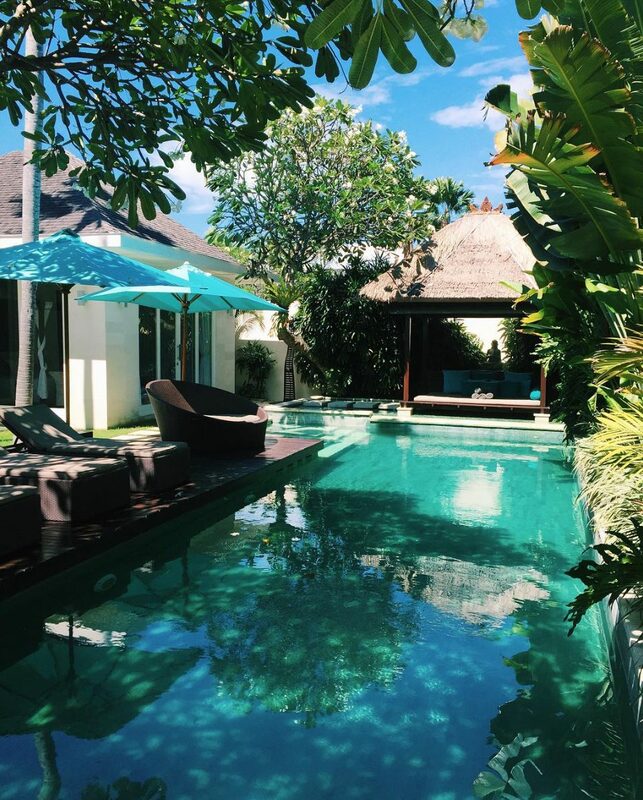 Next villa we got to stay in is called The Samata Sanur. It was such an amazing resort, located by the Balinese rice fields. It was extremely peaceful and relaxing to spend our two nights in this villa. 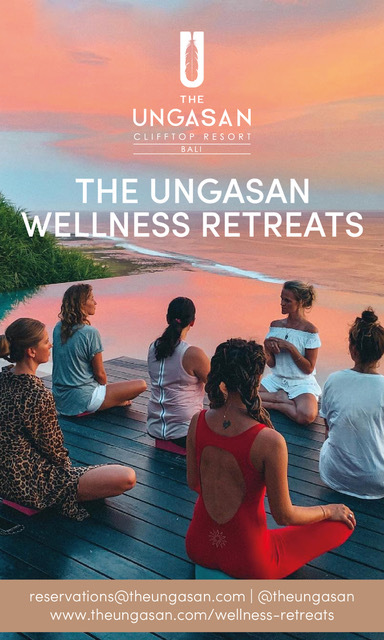 The body and the mind were balanced by checking in to one of the 10 exquisite Suites and Pool Villas, gazing out over emerald rice fields and the shimmering Indian Ocean. 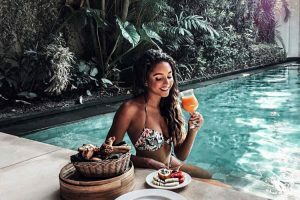 The Samata has a revitalising concept where you get to explore their state-of-the-art fitness facilities, experienced personal trainers, blissful spa and the health-conscious gourmet restaurant. The food at The Samata was the best food I’ve ever had. Everything was healthy, extremely well-cooked and most of all: SUPER DELICIOUS! 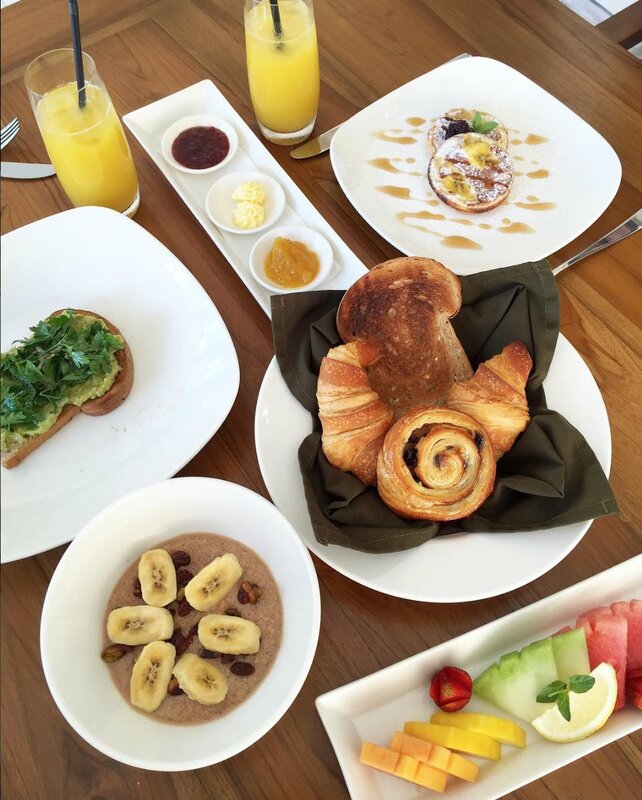 At this resort, we got the opportunity to participate in a healthy cooking class. We got to cook healthy food and blend healthy juices with the chefs at The Samata. It was very inspiring! 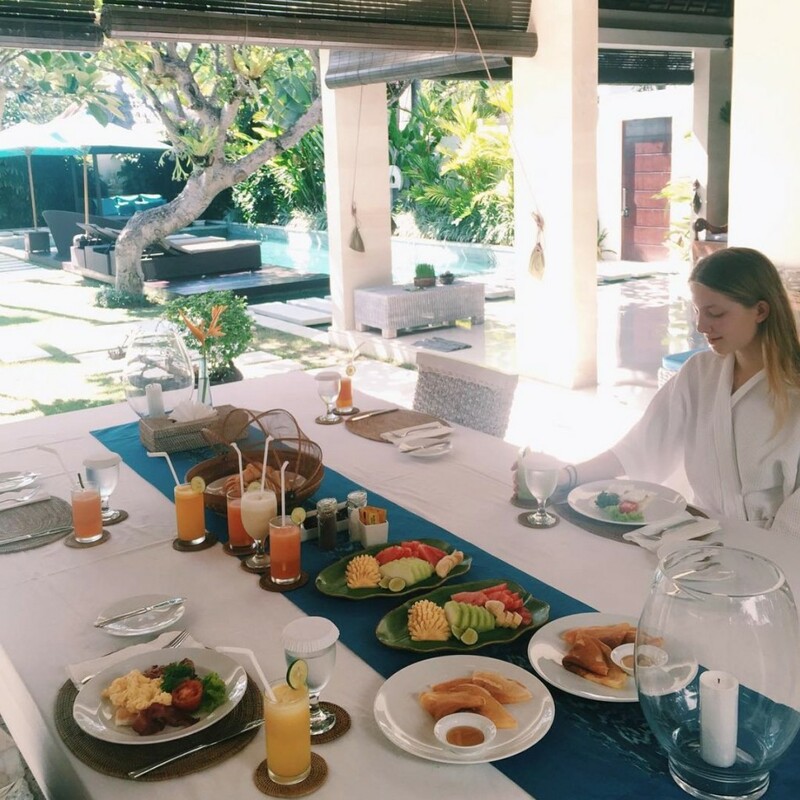 Our stay at The Samata Sanur was simply perfect, as well. I felt very pleased and well rested after spending a few days at this wonderful resort. 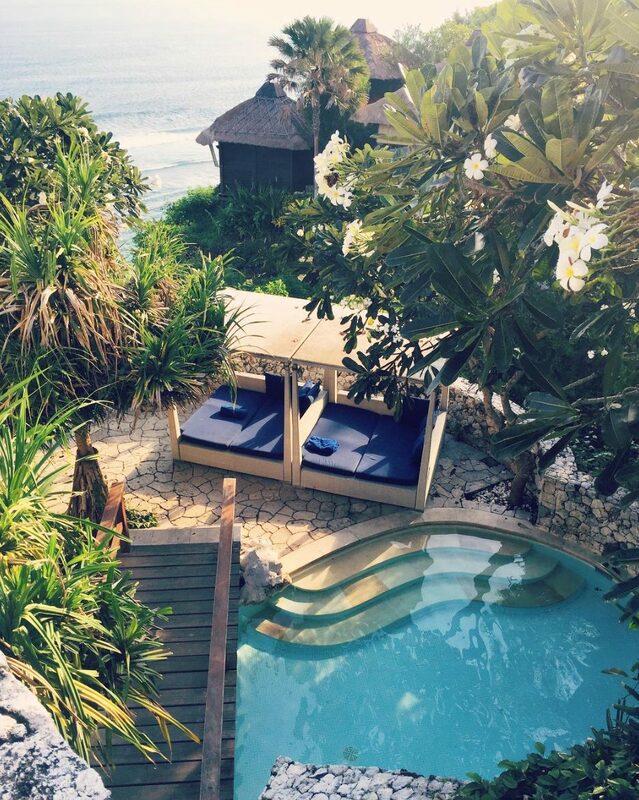 We spent our last night at the beautiful resort Karma Kandara, in Uluwatu, Bali. 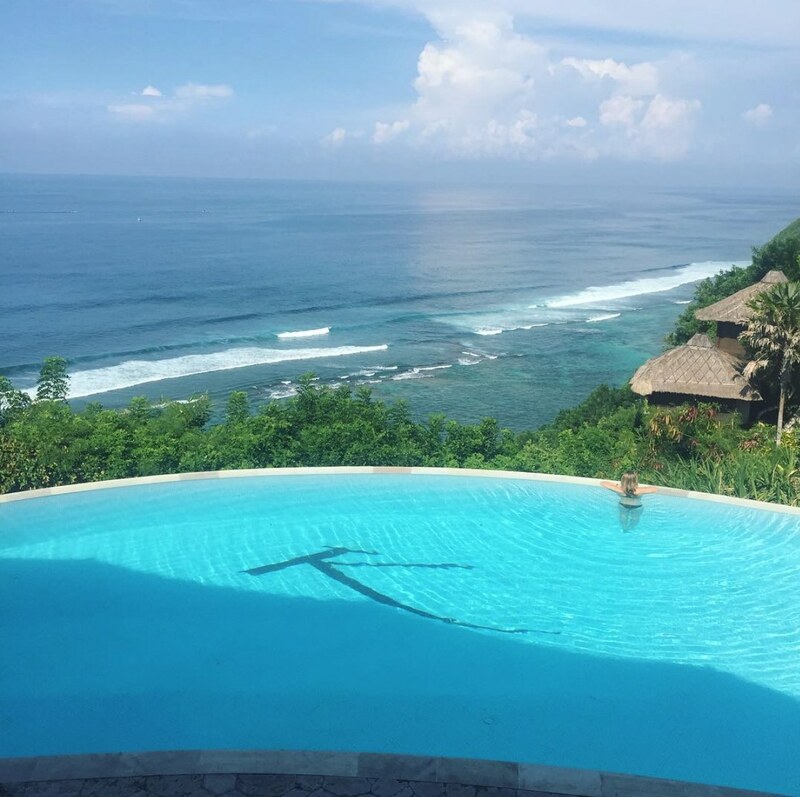 Uluwatu is a well known destination among surfing enthusiasts. Most of the surf spots are only suitable for advanced surfers though – the waves are big here. The main surfing spots are Uluwatu, Dreamland, Padang-Padang, Bingin, Impossibles and Suluban. Even though I do not surf, I really enjoyed Uluwatu. It was a very inspiring place. Karma Kandara has been voted as Asia’s best beachresort 2014 by World Traveller. This resort was stunning. It was bigger than the other resorts, but even though there were more people in this resort, it had a peaceful and relaxing atmosphere. I loved living in this resort. Karma Kandara have their own private beach – Karma Beach Club, which was very nice. One of the most beautiful beaches I’ve seen, and their restaurant down at the beach served delicious and fresh food and drinks. I had the opportunity to have Balinese massage in this resort as well. It was magical. 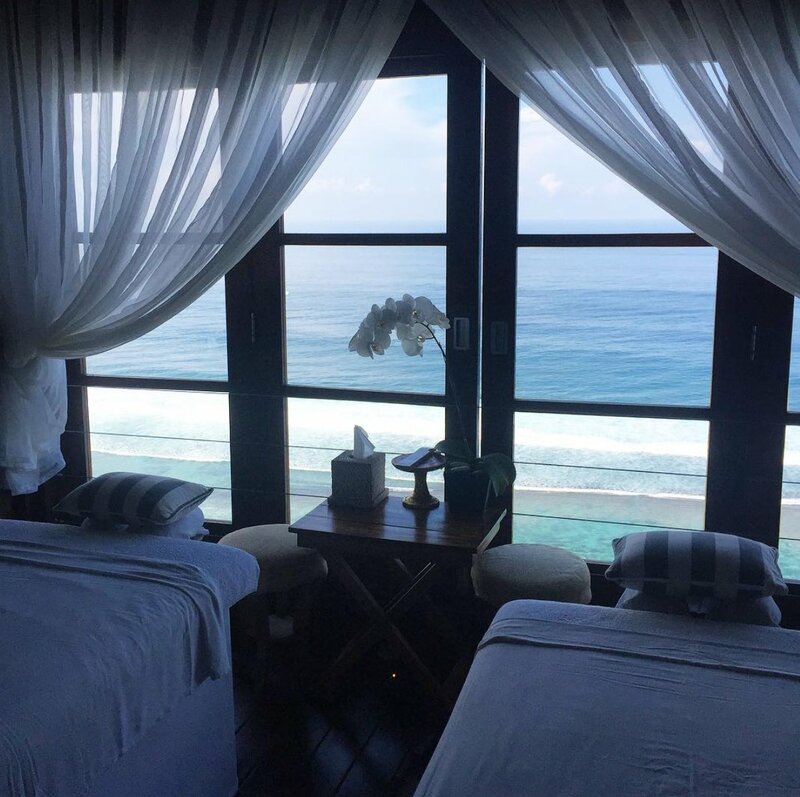 The massage beds were cliffside, with a view over the ocean and the beach. I received the AMAZING massage with “live music” from the waves down at the beach. It was unbelievable! Our stay at Karma Kandara was amazing!! CONCLUSION: I will never forget all these wonderful villas and experiences that we got to take part of. Make sure to visit these amazing resorts. One word: wow!